With the success and good reception of the Bumblebee Movie, new home video options are surfacing. 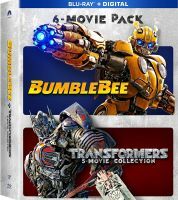 Amazon has listed an interesting new listing: Bumblebee & Transformers 6-Movie Collection Blu-Ray. You can now add all the current 6 live-action movies into your video collection. 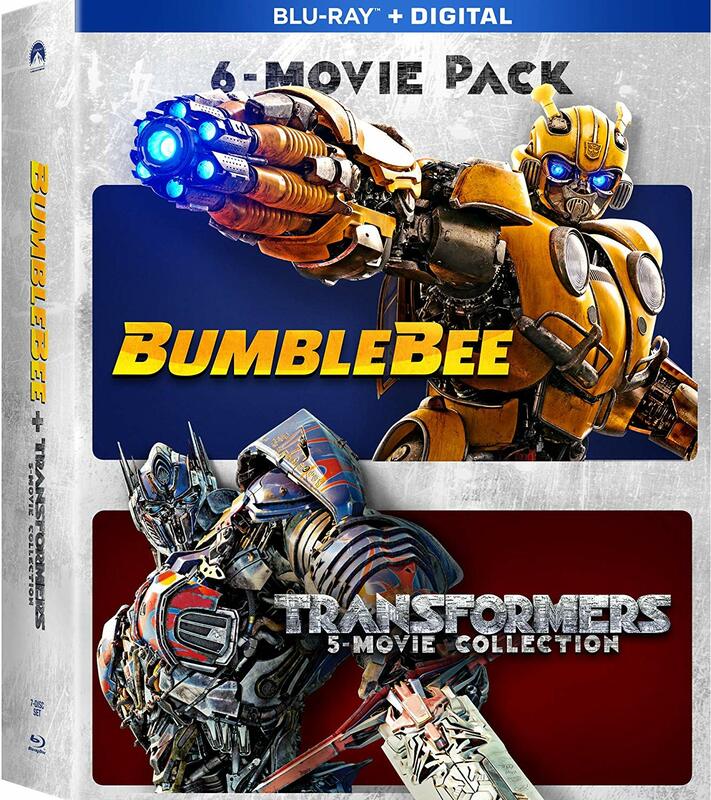 Transformers (2007), Revenge Of The Fallen, Dark Of The Moon, Age Of Extinction, The Last Knight and Bumblebee are included on this Blu-Ray pack, and you can order it now here on Amazon for $59.99. There’s still no specific information on the release date. Click on the bar to see the packaging images and then sound off on the 2005 Boards! Neat. I wonder how it’ll be packed. I don’t think there’s a way they could do it in a shelf space-saving way without sacrificing bonus material. Of course, it’s a moot point for me anyway since I’ve upgraded to 4K and this looks like regular Blu-ray only lol. I'm wondering at what stage of Bumblebee's development those comments were made. As far as I can tell it was originally intended to be a prequel and soft reboot (eg. BB already having been on Earth for a while when chased by the soldiers in the opening sequence) but the reshoots turned it into a hard reboot (eg. BB specifically contradicting TLK by showing his arrival on Earth). Literally the day before it came out. Well, I liked Bumblebee, TF2007, DOTM and AOE. I don't like ROTF and TLK. So I'd get four good movies, as well as interesting bonus features, along with two bad ones. Travis Knight and Christina Hodson would disagree; according to them, it's a prequel. The only thing I liked outta AOE and TLK is The New design of Optimus Prime, that's it! 8k tvs are already on sale, but there aren't any natively shot 8k content being sold on discs, and there aren't 8k Blu ray players anyway. 8k tvs just upscale. Digitally streamed movies tend to have worse quality than their physical media counterparts. Don't get me wrong, this is by no means confirmation that Bumblebee is a prequel, but it does't really do the reboot theory any favors. Theyre selling a 5 pack spiderman, they even have the same logo. The biggest benefit of 4K HDR isn't actually the increased resolution. I have a LG 65" OLED and on most material (especially film) the difference between 1080p and 4K isn't night and day. Where the new format really shines is HDR. That's a noticeable difference in colors, especially black. I am a technology snob, so I'm constantly upgrading my setup. At the moment, I'm running 5.4.1 for Atmos. I doubt that any new audio format will be a significant upgrade from that. It wasn't originally intended to be a soft reboot. Originally it was going to be a direct prequel to the '07 movie, similar to how Rogue One was a direct prequel to A New Hope. It was possibly turned it into a soft reboot by reshoots, but we still don't have a clear answer (it's possible that the filmmakers haven't even made a final decision yet). Either way, I wouldn't describe it as a hard reboot. There are still two many connections to the first film. Unless this is 4k HDR it's useless. I stopped buying Blurays altogether. If it's not 4K HDR, it's a no buy. The difference isn't subtle. I hate the bay movies ( well number 1 is okay ) but the movies should all be ONE continuity. Just start making good ones, like bumblebee, to make up for the bad ones. This 6 pack is a reason why they can never admit Bumblebee is a reboot. Who would want to buy movies that were so bad that Paramount had to start all over from the beginning? This is a cash grab at its’ most cynical level. I’ll wait for the individual release of Bumblebee on blu-ray. Knight and Christina Hodson would disagree; according to them, it's a prequel. I think Paramount Home Media will send out review copies of this relatively soon. I hope they'll have some new special features, I kill for those. The documentaries for 1-3 were amazing. I think the reason the OP considers this release of a reboot with the old films an unusual release is that the discs are listed in "chronological" order as opposed to order of release. Bumblebee is first in the title and the cover like it's a series. Uh, Blu-Ray movies are roughly $20 or so. You’d be spending $120 for all six movies if you bought them individually. You scoffing at the $60 price tag then saying buy them individually is kinda funny (it is, I’m not trying to be rude or anything). I already owned the first 4 Blu Rays from the $5 bin. They're old releases, dum dum. Not a fan of the live action movies personally, however, I have family who are, I do want to own the Bee movie, and this includes both BD and digital, so that makes it a decent value imo. Preordered to support the franchise and for family.